They were hardy, really tolerant of our fantastically variable weather this year (cold, wet, endless), only a few went to seed. Here is a youngish one in the soil. And then we has some really silly fun picking these godzilla radishes. 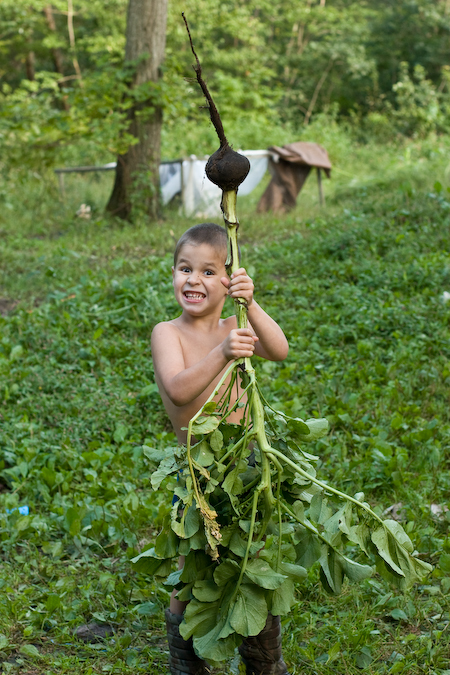 We figure none of these photos of kids-with-gigantic-veggies will ever make the cut to be in a garden seed catalog!